Madrid is celebrating the arrival of the Chinese New Year! For the fourth consecutive year, this feast will invade the city with concerts, fairs, gastronomic routes, workshops and more. The beginning of the Chinese year is marked by the lunar calendar. This calendar is based on the lunar phases and coincides with the new moon closest to spring. Hence its other name, the «Spring Festival». February 5th will mark the beginning of the Pig Year and, with it, many activities for everyone throughout the city. A crafts fair will be set up in Plaza de España, where you can buy, taste and visit stands with a great variety of Chinese products. A list of restaurants will also be made available at the unique food festival, China Taste 2019, to showcase the country’s gastronomy. Many of these restaurants are very close to our hotel by Sol area, Plaza de España and Gran Vía. 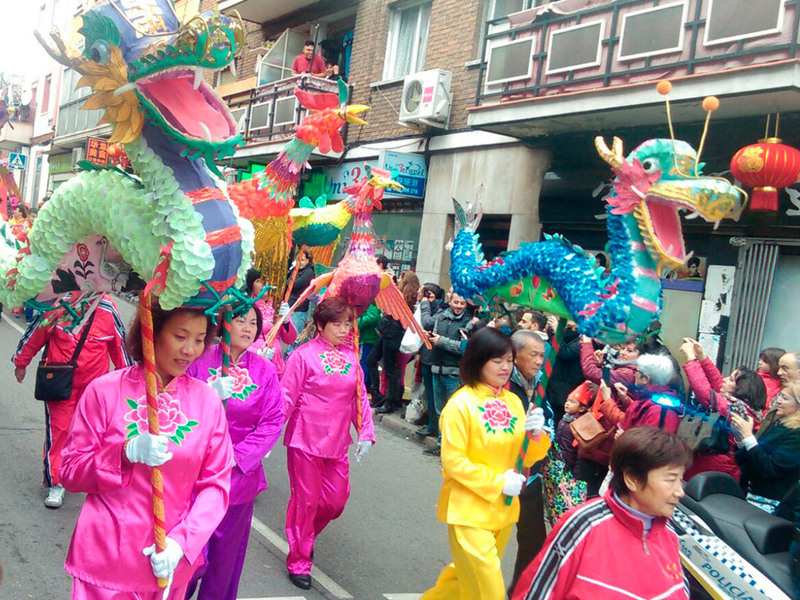 One of the most eye-catching events is the Grand Parade which will feature live music, dances, Chinese costumes and the iconic giant dragons. You can also enjoy other cultural activities at the Chinese Cultural Center, such as the film series that will take place on 2nd, 9th, 16th and 23rd of February. There will be a fascinating exhibition on Chinese horoscope where you can see where it comes from, and the meaning of each animal in this ancient culture’s zodiac. You can find the Chinese Cultural Center at Calle General Pardiñas, 73. Although the Chinese New Year is officially celebrated on the 5th of February, the festivities in Madrid will begin on January 30th and last until February 24th. You can consult the complete calendar of activities on the Chinese Cultural Center website.